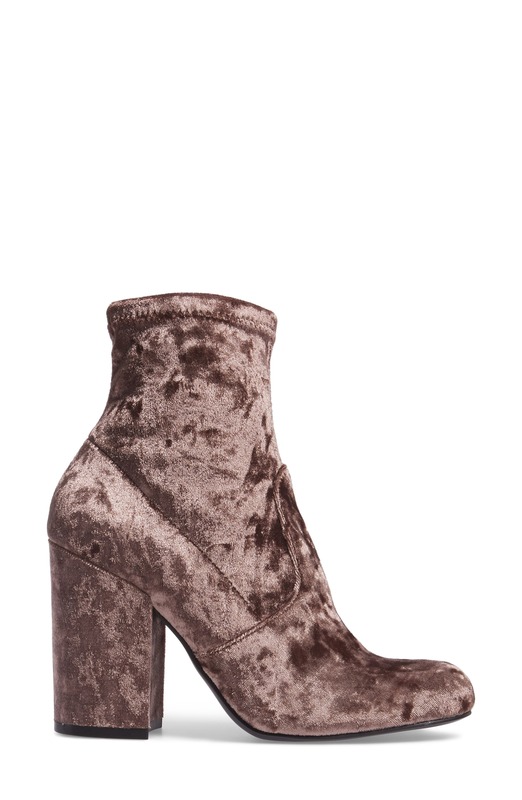 Velvet boots are one of fall’s most stand-out and most wearable trends. Sound like contradiction? It is, kind of. The secret to straddling being both a statement piece and a closet staple is pairing a classic shape with dramatic velvet fabric. For this post, I’ve picked five classic boot shapes that have been remade in velvet for fall, giving you five different ways to wear this fabulous trend. A mod block heel is a classic minimalist silhouette, so it’s particularly interesting to see it done up in beautiful pink-red velvet. I picture this book paired with a traditionally minimalist black, white, and grey ensemble. → Buy the Joie Saleema Block Heel Bootie, $348.00, at nordstrom.com. This is my favorite take on the velvet boot trend simply because I wasn’t expecting to see a velvet chukka boot pop up. The chukka is an old-school menswear boot shape that spans the workwear to dressy spectrum. But velvet with grosgrain ribbon laces? Oddly, it totally works. Bonus points for the downtown-chic sawtooth sole. → Buy the Bill Blass Penny Sutton Chukka Boot, $248.00, at nordstrom.com. Point-toe block heels are such a fabulous look, and the addition of navy velvet just makes them that much more glamorous. 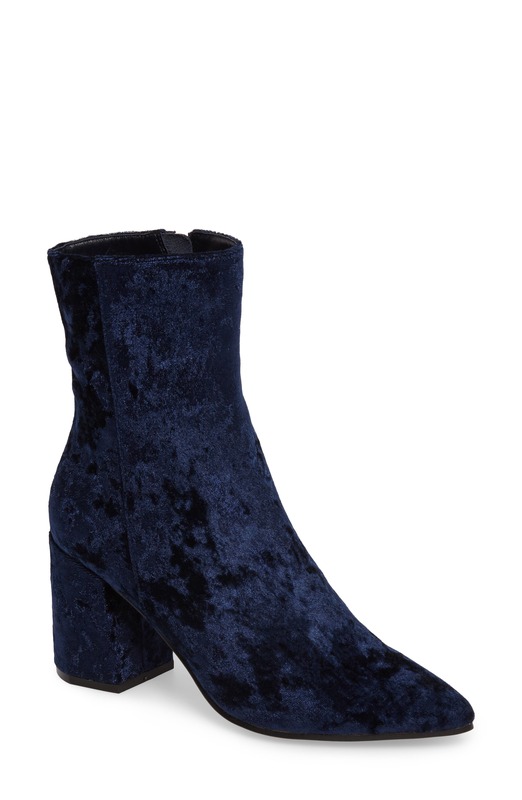 These are the night out velvet boots that just so happen to do double duty as a daytime look when paired with jeans. → Buy the Linea Paolo Bobby Pointy Toe Boot, $159.95, at nordstrom.com. The contrast of a combat boot shape done up in candy pink velvet is hard not to love. Also of note, Stuart Weitzman makes the most comfortable boots I’ve ever worn. 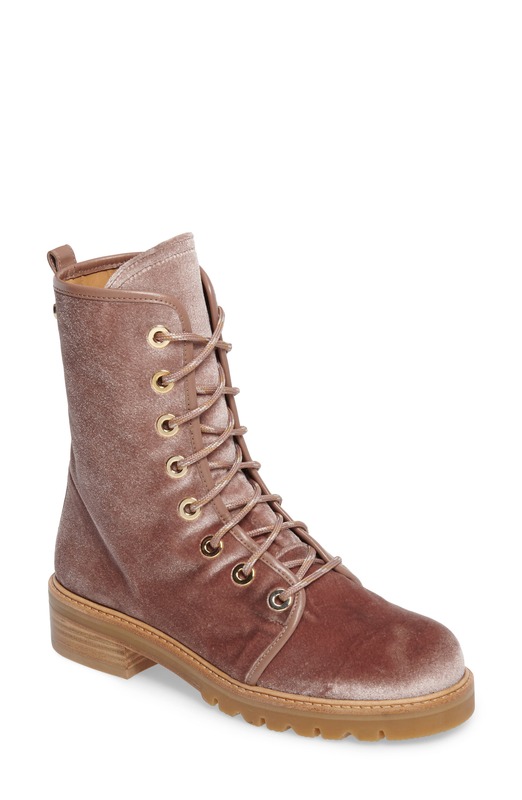 → Buy the Stuart Weitzman Metermaid Combat Boot, $585.00, at nordstrom.com. 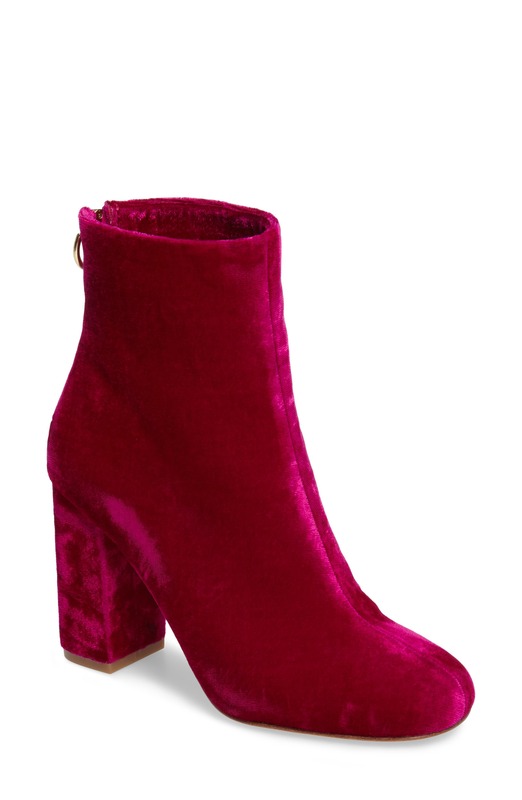 These budget-buy velvet boots don’t sacrifice an ounce of style to get to an affordable price. And this mushroom shade is gorgeously understated. → Buy the Steve Madden Gaze Bootie, $99.95, at nordstrom.com. Will you be wearing velvet boots this fall? If so, which labels are turning your head?